Among the most interesting fields in research are the emerging possibilities to interface the human brain directly with machines, e.g. with computers and robotic interfaces. 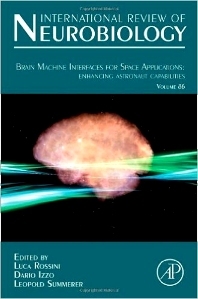 The European Space Agency's Advanced Concept team as a multidisciplinary team from engineering, artificial intelligence, and neural engineering has been working on the cutting edge of exploring brain machine interfaces for application in space as solutions to limitations astronauts face in space, and this book for the first time presents the state-of-the-art-cohesively.